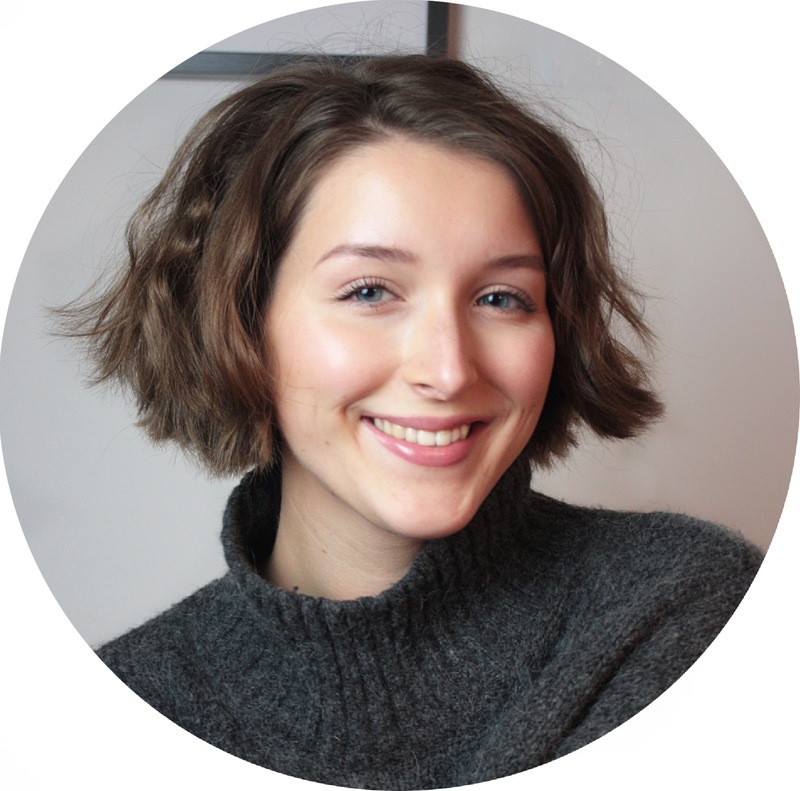 Tassels are something you can apply to anything: clothes, bags, shoes, jewellery, scarfs,… they jazz up whatever you’d like to have them on. 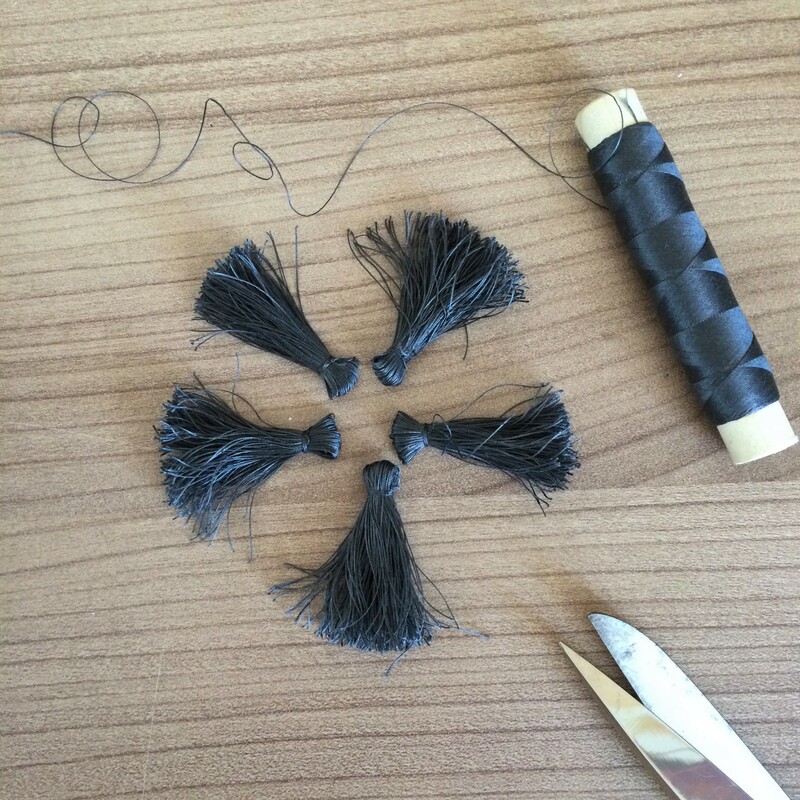 Before presenting my new tassel DIYs, I’ll first give a short instruction on how to make tassels by your own. 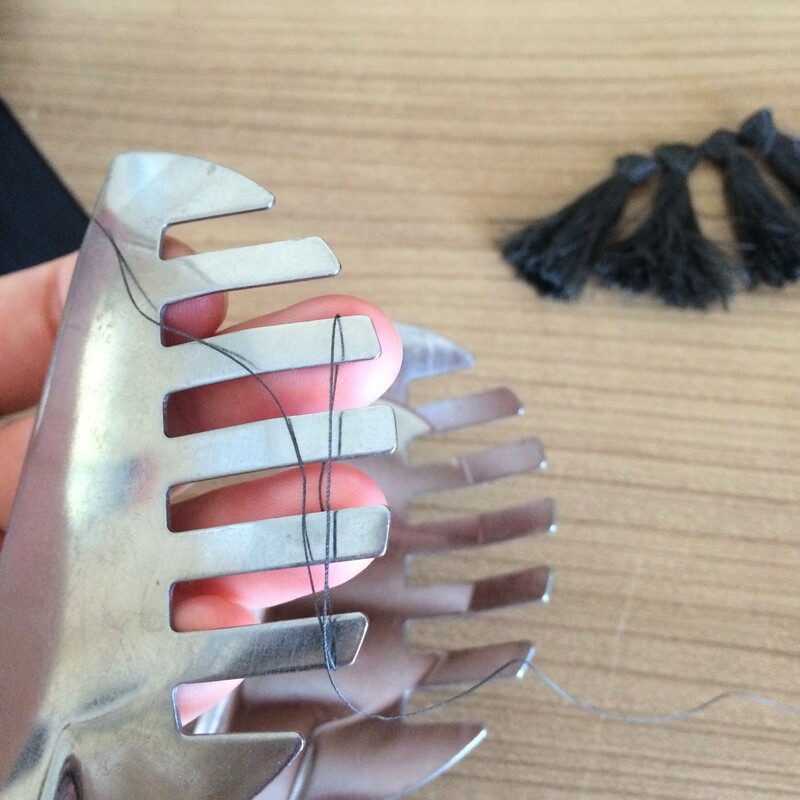 Stick the thread to the noodle tongs and start wrapping it aroud the prongs. At this point, you can decide how long the tassels become in the end. Wrap it for about 200 times around the prongs. 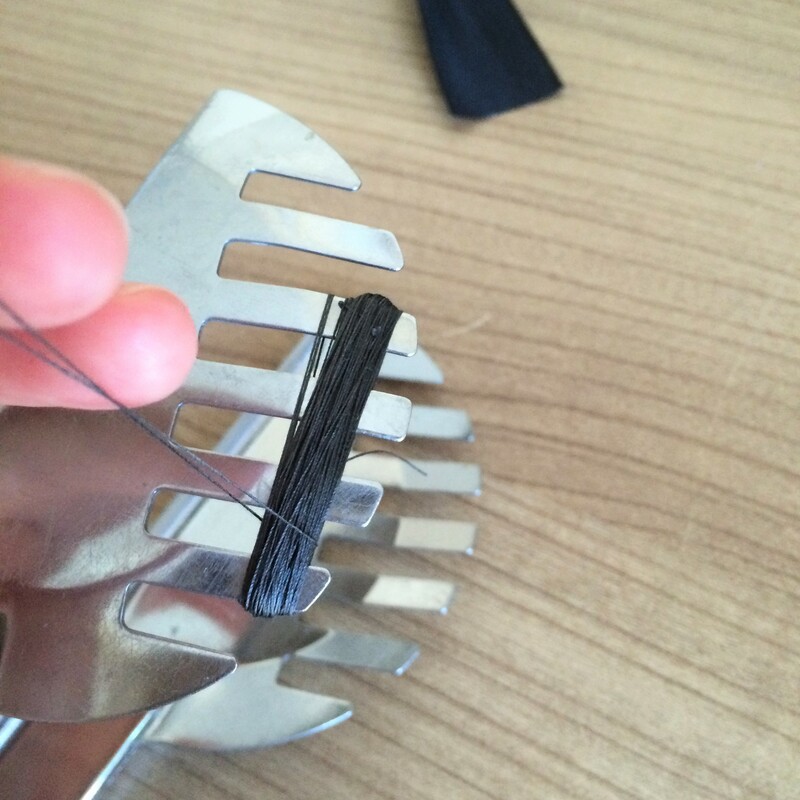 This number depends on how thick your thread is and how big you want the tassels to be. 2. 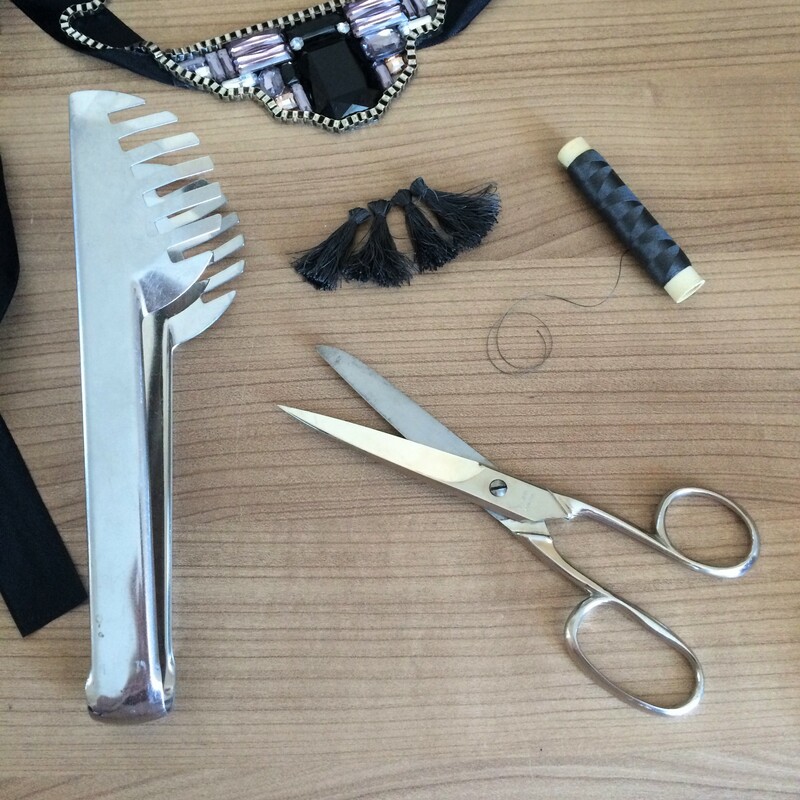 Take a short piece of thread and knot it in the upper part of the tassel. 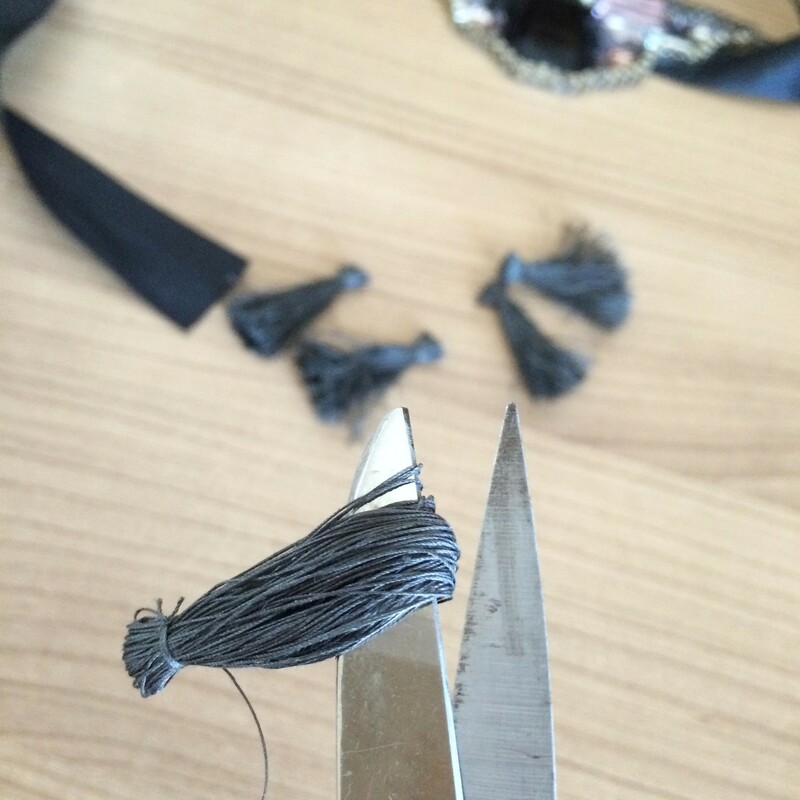 Cut off the ends just right next to the knot. 3. 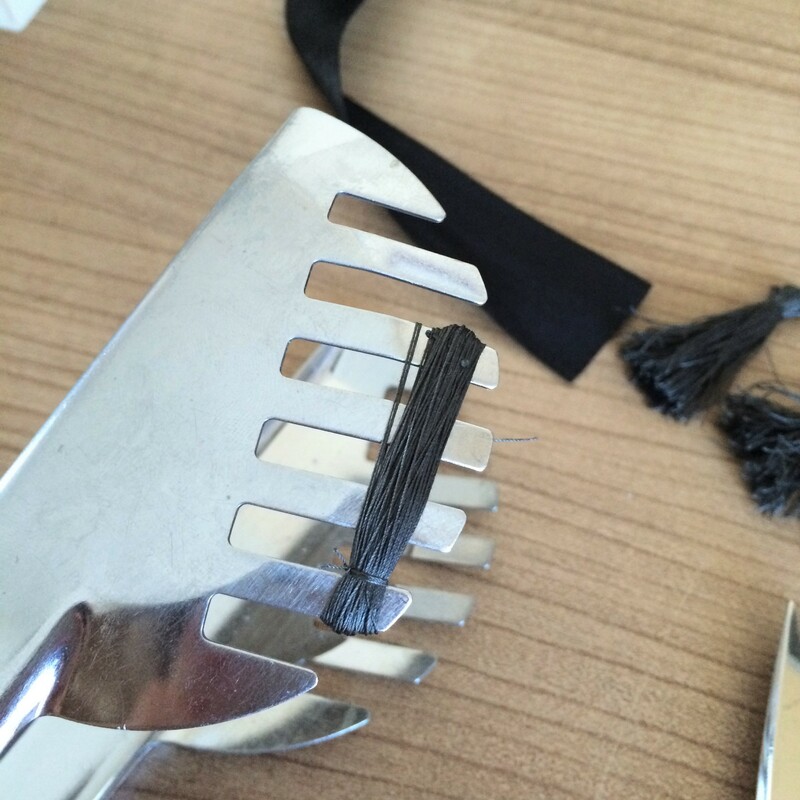 Remove the tassel from the noodle tongs and cut the thread through the end.